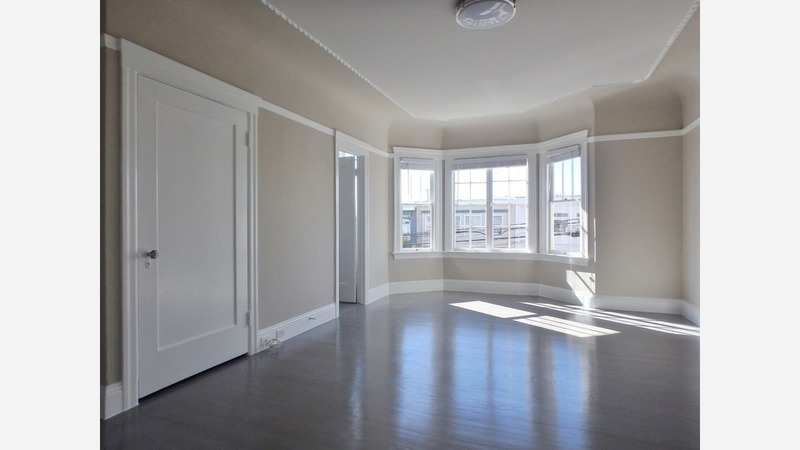 What Does $2,600 Rent You In San Francisco, Today? Listed at $2,600 / month, this studio apartment is located at 636 33rd Ave. In the sunny top-floor apartment, you can expect hardwood floors, a dishwasher, a walk-in closet and stainless steel appliances. When it comes to building amenities, expect on-site laundry, garage parking and outdoor space. Hairball alert: cats are allowed. Here's a 1-bedroom, 1-bathroom apartment at 1015 Pierce St. that's going for $2,595 / month. In the unit, you'll get hardwood floors, high ceilings, a dishwasher, stainless steel appliances, generous closet space and ample natural lighting. The building boasts on-site laundry, outdoor space and an elevator. Hairball alert: cats are permitted. Next, check out this 1-bedroom, 1-bathroom apartment that's located at 449 Filbert St. It's listed for $2,595 / month. In the bright second-floor unit, you'll get hardwood floors, high ceilings and built-in shelving. Cats and dogs aren't welcome. Located at 765 Geary St., here's a 1-bedroom, 1-bathroom apartment that's listed for $2,595/ month. The bright unit has hardwood floors, granite countertops, stainless steel appliances and a walk-in closet. Good news for pet owners: cats and dogs are welcome. Listed at $2,595 / month, this 1-bedroom, 1-bathroom condo is located at 650 Turk St. In the eighth-floor unit, you can anticipate hardwood floors, a dishwasher, in-unit laundry, ceiling fans, stainless steel appliances, granite countertops and ample natural lighting. Amenities offered in the building include outdoor space, a roof deck and an elevator. Pets aren't allowed. Next, check out this 1-bedroom, 1-bathroom apartment that's located at 1633 California St.. It's listed for $2,575 / month. In the sunny unit, you'll get hardwood floors, a walk-in closet, plenty of storage space and built-in shelving. Pets aren't allowed. Located at 360 Guerrero St., here's a 620-square-foot 1-bedroom, 1-bathroom apartment that's listed for $2,550 / month. In the unit, you can anticipate a dishwasher, a walk-in closet, built-in shelving and carpeting. The building has on-site laundry and assigned parking. Cats and dogs aren't welcome.